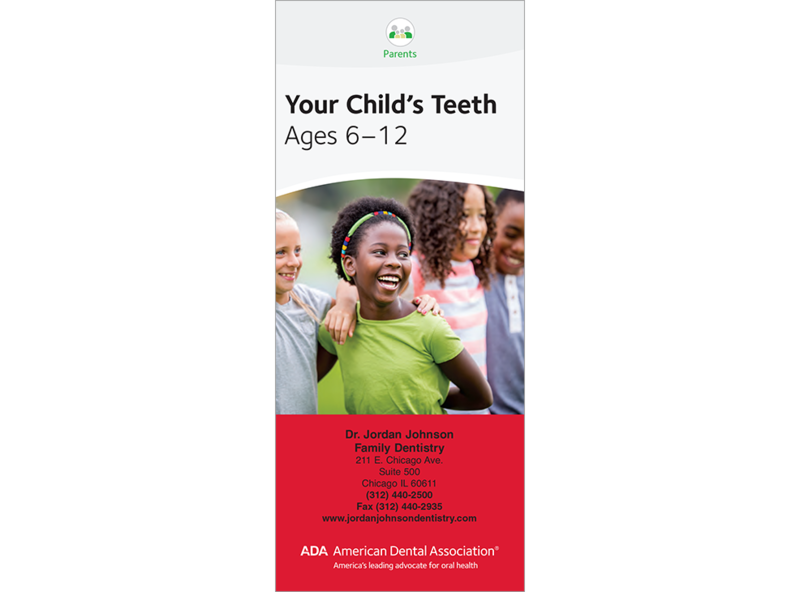 A valuable resource for parents of school-aged children, this brochure talks about oral development, the role of a healthy diet, sealants, hygiene, fluoride, malocclusion, and injury prevention. Includes a tooth eruption chart plus step-by-step brushing and flossing photos. Emphasizes the message, “Don’t wait to take your child to the dentist until pain or a dental emergency happens.” 8 panels. Minimum order 150. Click Add to Cart then personalize for free. Now you can add personalized information on the front, back, or both covers on all brochures.